89.6% of residents are living in the most deprived 20% of areas of England by Indices of Deprivation (compared to an average of 18.3% across the rest of the East Midlands). The profile review consultation prompted mixed reactions to perceptions of crime in the area. The comments received through the survey suggest that there are real concerns about crime and safety in the area. However, during the focus groups, where more in-depth discussions took place, there were some comments about positive changes that have taken place over the last few years. Focus group participants felt that there are now fewer young people hanging around on the streets, and gangs are less of a problem. Nevertheless, it was clear that there were still incidents of anti-social behaviour taking place and concerns that young people are being drawn into ASB. The profile review consultation generated many positive comments about the local area. People clearly like shopping in Allenton – 48.9% of survey respondents selected ‘The local shops and other facilities’ as the thing they liked best about the area. However, people would also like to see improvements, particularly around The Mitre and Allenton Market. They would also like to see a wider variety of shops on the high street. People have welcomed the refurbishment of St Martin’s Church and Community Centre. The community centre and Chatterbox Café are having a positive impact on the community and are becoming a focal point for events, meetings and activities. The annual Christmas event continues to be popular with local residents and, for some families, has become a much anticipated annual tradition. In 2018 the event was held at St Martin’s Church and Community Centre – a move that was well-received by those attending. In terms of other events, feedback from the consultation showed that people would, if possible, like to see other community events at other times of the year. The Community Chest fund receives a steady number of applications each year, and the groups that have benefited have been appreciative of the support they have received. The Community Chest provides a flexible pot of funding that ABL residents can access and that can also be used by the ABL partnership to respond quickly to any issues that may arise within the community. 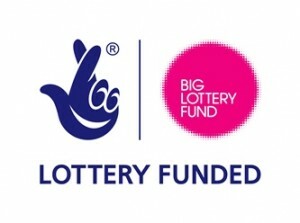 Allenton Big Local has funded a family support service for local parents, for which there is ongoing demand and need for many local families. The specialist service is delivered by Nacro. Parents who have received support from the scheme in the past praised the quality of the service during the recent consultation. Allenton Big Local is funding activities for young people through the youth clubs, mentoring and weekly dance sessions delivered by Enthusiasm. Comments from the profile review survey and focus groups show that there is strong demand for activities for young people in the Allenton Big Local area and feedback on these activities has been positive. Allenton Big Local supports activities for older residents, primarily through regular coffee mornings at Slaney Close and Handyside Court. Occasional trips are also arranged to local attractions. The older residents consulted as part of this review said that they enjoy attending the coffee mornings and trips, as it gives them an opportunity to get out and socialise with other people. Opportunities for training and employment is Priority 3 in Allenton Big Local’s plan. Funded activities to achieve this outcome consist of a weekly Work Club, held on Mondays and delivered by Derby Adult Learning; and a Bursary Scheme which provides financial support for ABL residents who want to learn a new skill. The Work Club has a steady attendance and has resulted in several success stories, with 21% of the people who’ve engaged with the Work Club in the last year going on into employment. Take-up of the Bursary Scheme does not usually exceed the annual budget allocated, but the scheme has supported many people to gain new qualifications and skills, including driving. During the profile review consultation, feedback from both the survey and focus groups identified a lack of activities for younger children in the 5 to 10 years age group. The ABL partnership will consider what kind of activities might be delivered to fill this gap and meet the needs of younger children in the area. The profile review consultation also highlighted a desire for the provision of a support group for parents with children with additional needs. This issue was identified in more than one of the focus groups and was also discussed in some of the one-to-one interviews with local parents. At the request of Derby Adult Learning, the profile review focus groups explored whether there would be demand and interest in creative/arts activities in Allenton next summer. Reactions to this idea were positive, but the majority of people suggested that the activities should be for parents and children to do together and delivered as weekly sessions during the six week summer holiday. This would encourage shared learning and parent/child interaction, as well as alleviating school holiday boredom. Feedback suggests that these kind of activities would appeal more to younger children, so this could also be an opportunity to deliver an activity for the 5 to 10 year age group (along with their parents). The ABL partnership will take this forward and include the activity in the next Allenton Big Local plan. The partnership will consider the key issues arising from the profile review consultation when they meet to discuss the activities and budget for the next plan. Finally, the survey carried out as part of the profile review included questions for the Annual Satisfaction survey, which Allenton Big Local has been running for the last four years. The 2018 annual survey results are noticeably less positive than in 2017. In some part, the way in which the responses were collected will have affected the results. In 2017, the vast majority of the surveys were completed at the Christmas event at Allenton Market and, consequently, most of the respondents were adults aged between 30 and 45. The respondents were also at a community event at Christmas time, which may have positively influenced their frame of mind when answering questions about safety, happiness and community. In 2018, we decided to run the survey online (and face-to-face in a neutral environment) to encourage a wider range of age groups to participate. This change will account for some aspects of the shift in perceptions but is likely to more accurately reflect public opinion. That is not to say that the previous year’s results aren’t useful or valid. 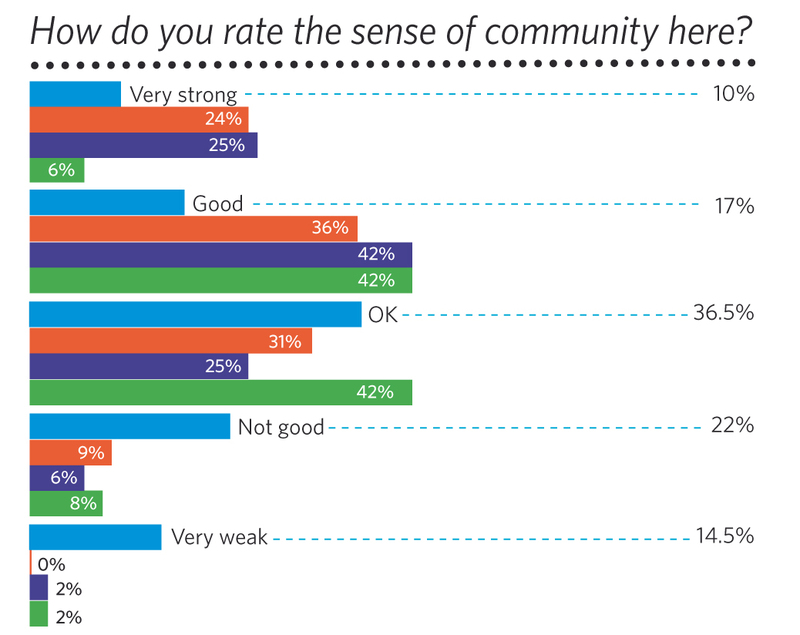 The changes in local perceptions also reflect a growing concern about safety and crime. A violent attack that took place in Allenton on 15 September 2018, for example, was reported in the local press about one week before the online survey was launched – and incidents like this are likely to affect how residents feel and influence their perceptions of the area.